Starting at a young age of 9 years old Scott went to work at a local marina in his hometown just so that he could be on boats. He started out mopping rental boats before owning his own boat at age 10. He grabbed an old garvey from the marina, fixed it up and started a small crabbing business. By the age 11 he was running around Great Bay in his own AquaSport center console. His passion for offshore began while canyon fishing with the owner of the marina at a very young age. By the age 14, Scotts catches included Big-eye, yellowfin, bluefin and both marlin species. Frequent trips to the Keys where his grandparents lived only helped grow his passion. Sailfish, wahoo and grouper were added to this list. By age 15 he was mating on a tournament sport fishing boat, which he eventually took over the helm before starting his own charter business the “Jolly Mon” out of Tuckerton NJ. In addition to running his own boat, he would mate and Captain different boats throughout the seasons. Attended Richard Stockton College as a Criminal Justice/Political Science major before heading off to Captain a 46’ Ocean Yachts from NJ to the Florida Keys, including the Bahamas. Ready to settle down at age 24 years old, he decided to work close to home as a startup Captain for Ocean Yachts. Through the years he was promoted to the Customer Service/Warranty/Quality Control manager and ran the company Demos for a few years. Specifically the 40 Ocean and the new 37 Billfish. While working for Ocean Yachts, Scott continued to perform side work as a Captain running to the edge. 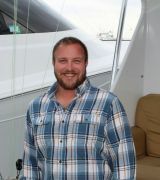 In 2008 Scott left Ocean Yachts to become the General Manager of a large Industrial Engines Company. His priorities were operating the management of the company, employees and sales. Scott’s experience on the water as a USCG Licensed Captain with a remarkable business background and work ethic makes him the perfect person to have working for you, whether pursing your dreams for a new boat or looking to sell your current boat. Before owning his own Yacht Sales Company, Scott began with United Yacht Sales and become the #1 Broker nation wide by his second year in the business. Including recently owning his own 38’ Ocean Yachts that he chartered out of Cape May NJ. As a married father of four boys he is in the process of instilling the passion of fishing and boating that he learned at a very young age. Wayne and Genine Puglise have been building boats together for 20 years. Wayne came into the Bertram Yard where Genine worked for some warranty repairs. Wayne moved her up to Jersey shortly afterward. As he continued to grow his other business interests she worked for another local boat manufacturer. When Wayne decided to look for his next boat project they scoured the East Coast and the North Carolina greats. He then found the Jersey Devil project in his own back yard. Knowing exactly what he wanted as an avid fisherman and using his own mechanical background they set about starting Jersey Cape Yachts. Wayne is involved in every aspect of the build process and continually forging ahead to grow their brand and the line of boats they build as well as working with the Service and Repair team. You’ll find Genine managing the day to day administrative duties and Teak running about the Yard. With Scott and the crew at Jersey Cape Yacht Sales you will not only find the right boat for you, but also incredible customer service and a willingness to share their wealth of information with you. Michael “Mike” Murphy is a South Jersey resident having been born in the area, raised in Northfield and now resides in Linwood. 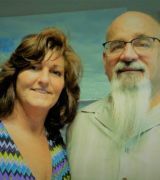 From the time his Dad brought home an aluminum skiff when he was 9 years old, Mike was hooked on boating and fishing, turning into what locals call a “Bay Rat.” Having “sand in his shoes,” he chose to stay in the area where he lives with his wife, Marie, another boating and fishing enthusiast. After his discharge from the U.S. Navy in 1969, where he provided gunfire support for the U.S. Army and Marines in Viet Nam, on the destroyer, USS Corry, he entered the title insurance industry. He spent 46 years in the business before retiring as Vice President and NJ State Manager for a Fortune 500 Company, First American Title Insurance Company. 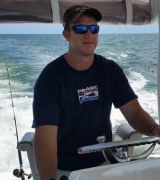 His passion for fishing both inshore and offshore, along with cruising the coastal waters and the Chesapeake Bay has led Mike to join Jersey Cape Yacht Sales where he applies his boating experience and enthusiasm to others looking to enjoy the boating and fishing life. Mike has owned many boats over the years and currently enjoys fishing off his 48’ Ocean Yacht SS or cruising along the coast. His boat is berthed at the Seaview Harbor Marina in Longport, NJ where Jersey Cape Yacht Sales maintains one of their premier Jersey Shore offices. Mike’s experience on the water with a solid business background and strong work ethic make him the right person to have working for you, whether pursuing your dreams for a new boat or looking to sell your current boat. Gary Picard, was born in the suburbs of Philadelphia and raised in the Cape May area during his summers. His passion for the water started very early in life fishing with his grandfather and father on their family boat. His love for the water and boating continues today, as he actively surfs, fishes and captains boats around the world. As an avid Captain carrying a 100ton Masters license, he continues to run boats in the Bahamas, Florida, New Jersey areas and all of the East coast. Gary engages in tournament and charter fishing on boats ranging in size from his first flats boat at 14ft up to big sport fishing vessels to 92ft. His continued drive to be the best in the fishing industry coupled with his passion for boating has brought him to Jersey Cape Yacht Sales. His willingness to go above and beyond for his clients has earned him a loyal client base of fisherman, captains and recreational boaters. 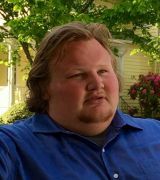 Gary has a strong network, unique background and is well connected across multiple industries. 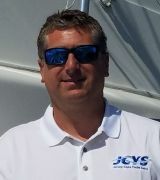 Gary represents Jersey Cape Yacht Sales in both New Jersey & Florida. If you are looking for a knowledgeable, hard-working Yacht Broker with an established and loyal clientele to assist you in the buying or selling of a vessel, Gary Picard is your perfect match. Born and Raised on the water RJ Melton has been a part of the boating and fishing community for his entire life. All of RJ’s free time during his early years was either spent on his family’s boat fishing offshore, or working at the family diesel shop. When RJ was in College he and his brother Cody decided that they had such a love for the water that they wanted to start their own charter business. So by the age of 20 RJ and his brother purchased a boat and started Jersey Nutz Sport Fishing. Less than a year after starting his professional fishing career RJ earned his first major offshore fishing tournament victory taking home 1st overall heaviest tuna at the Manasquan River Marlin Tuna Club Open. Since that time RJ has been heavily involved in the Sport fishing industry, running their now 53’ Custom Carolina, logging over 50 trips a year to the north east canyons, performing multiple deliveries up and down the east coast, as well as handling the overall management of client vessels. Many friends and clients depend on and look to RJ when it comes to nearly all situations regarding their boats, because of his industry knowledge, and professionalism. So when it comes time to sell or purchase your vessel, please give RJ a call and see how he can help you. Cody Melton has been apart of the boating world since before he even knew it. At the young age of 7 he caught his first yellowfin tuna aboard his grandfather’s 57’ Hatteras. At the age of 12 he landed his first bigeye tuna(also the first in his family) & at age 15 his first Blue Marlin. And at age 17 he purchased his first boat with his brother, a 28’ Carolina Classic. Since then the story continues along the same path now owning a 53’ Custom Carolina, the Jersey Nutz, a premier charter vessel running out of the Manasquan River. As a USCG licensed captain, in addition to running charters with his brother RJ, Cody also runs & maintains a privately owned 50’ Henriques “Heavy Metals” full time out of Barnegat Light. This position has allowed Cody to demonstrate his professionalism and passion for fishing while being in the part of New Jersey he loves most – Long Beach Island. Cody recently purchased a house in Beach Haven West and has spent every summer on LBI for the past 15 years. After receiving his undergraduate degree from The College of New Jersey, with a bachelors in Business Management and a Minor in Law, he is now in the final year of his Master’s program at Rutgers University where he will be earning his Master’s in Business Administration come the Spring of 2019. Most know Cody as the organized & detail-oriented broker that they can depend on – and you can too. No matter the task or question you can be sure his industry knowledge and professional background will get you the best deal whether you are buying or selling your vessel. Travis Scott's love for boats and the water started at the early age of 10 when he spent his summers in Ocean City, Maryland. Travis walked the docks and found his way to help the charter boat captains do what ever they needed for their fishing operations. Buying his first boat at age 15, Travis began inshore fishing. Starting with an invite to run offshore when he was 19 has paved the path he now continues to follow today. After his offshore experience, Travis started mating on charter boats learning and building his offshore skills. At the age of 23 Travis took on the responsibility that many at this age would not even think of. Travis bought his first offshore boat. Today, Travis is on his third offshore boat a 40' Luhrs Express. Travis is the proud owner of Canyon Hunter Sportfishing a charter business out of Indian River, DE. Paul Ouimette entered the marine industry at the early age of 15 working in a local boat yard. At the completion of high school Paul went on to New England Tech and learned marine diesel repair, electrical, plumbing and all other systems related to repairing and maintaining boats to ABYC standards. Paul has over 25 years of field experience in a marine industry, know that you can trust his expert knowledge of boats, his integrity and honesty. In addition to his mechanical knowledge, Paul is also an avid fisherman and owner of a 35’ Ocean Yachts that he spends with his family. Paul is a capable negotiator and is eager to earn your business!